I have really been burning the midnight oil this week trying to get a decent amount of totes and purses made for the Maymont Herbs Galore & More this weekend. My mother and my Aunt Patricia are driving up to Hampton today from Tennessee with a van full of concrete leaf castings to sell as well. 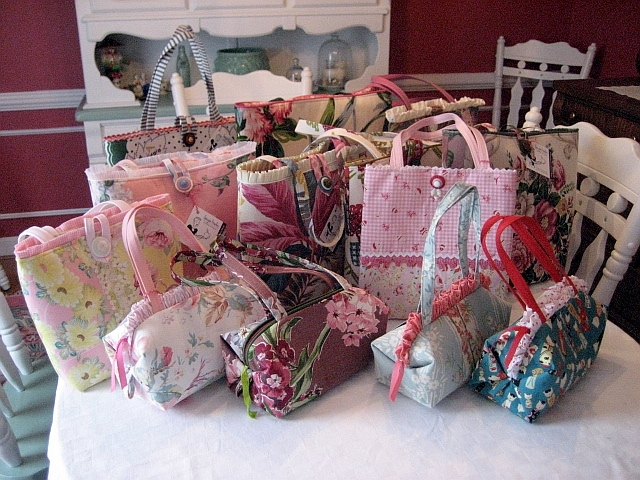 My totes and purses are primarily made from vintage cottons and barkcloth that have floral designs. Here is a sampling of what I have been working on. 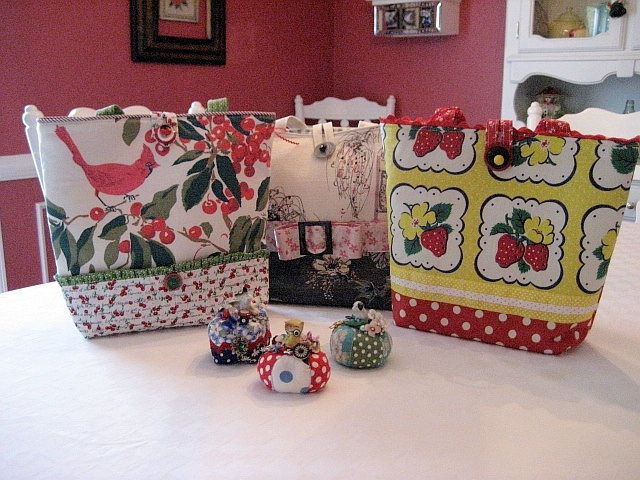 My BFF Beth also contributed some totes and some of her yummy pin cushion creations for the sale as well. Here is just a sample of what she made for me to take to Maymont. I scored some groovy vintage 70’s sheets from the thrift store that I am going to use to cover the tables so it is going to be a very colorful booth! 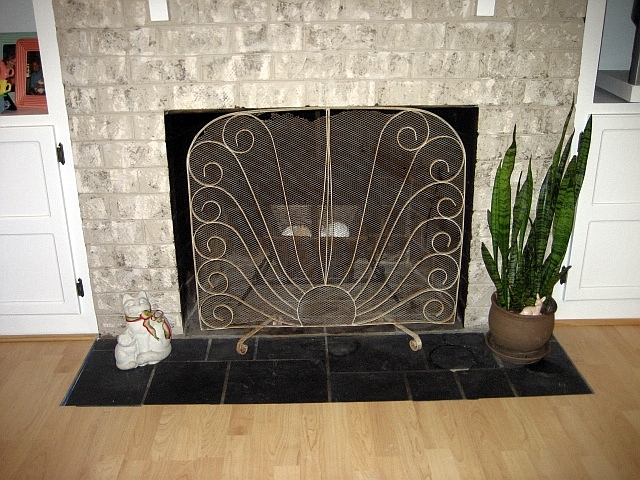 Last week during my thrifting expeditions I scored the most fabulous fireplace screen and it looks just divine in my living room. I love it! My husband is bit bothered by the bent metal screening on it, he just doesn’t quite get the whole shabby chic look. But I think it is shabby perfect! Well, back to the sewing machine to try and finish a few more totes for Maymont. I will be sure and take lots of pictures and they will be on my next post. love the aprons. Just over for a quick visit and to tell you I am just getting to adding you to my favs. Doing it straight away! Very nice totes and purses. you are such a gifted art maker…I really like the designs and the colors. good choices on it!